The Department of Education has apologised for the error. THE DEPARTMENT OF Education has said it has made a number of changes to how the student grants system is run after a €4.1 million overspend in the 2012-2013 academic year. The Comptroller and Auditor General (C & AG) told the Public Accounts Committee (PAC) that 790 students in receipt of ‘back to education’ grants from the Department of Social Protection also received grants from Student Universal Support Ireland (SUSI) in 2012-2013 they were not entitled – costing €1.9 million. He added that a further €2.2 million was spent in other overpayments, noting SUSI encountered “serious operational issues” when the system went live in June 2012 and was unable to cope with the level of demand. At one point, students had to wait on hold for over 700 seconds on the helpline, while the goal was 30 seconds. Committee chair John McGuinness described the delays as “absolutely chaotic”. He said noted that SUSI has spent over €20 million on operational costs and overpayment since it was set up. Speaking at the meeting, Seán Ó Foghlú, the secretary general at the department, said he wanted to “express my sincere apologies for the difficulties encountered in the opening months of SUSI operation”. He noted that the department has given “careful consideration” to the report of the C & AG on student grants and is continuing to implement recommendations arising from it. Earlier this year, Ó Foghlú wrote to PAC stating that the City of Dublin Education and Training Board (CDETB), which operates SUSI, has sought approval to write the overpayments off. When McGuinness expressed dissatisfaction about this, Ó Foghlú said a decision hasn’t been made on this yet but will be “in the near future”, after legal advice has been received. McGuinness said it was unacceptable that taxpayers could be “expected to carry that €4.1 million, no questions asked”, noting no private business would be able to do this. Ó Foghlú said that the planning and implementation of the reform of the administration of student grants took place “in a very different economic environment” meaning there was “little scope to put in place the kind of dedicated resources now recommended for projects of this size and scale”. He added that new appliocations were “increasing at an unprecedented rate, while the capacity of local authoritites and VECs to deal with this inccrease was diminished by the impact of the public service moratorium”. 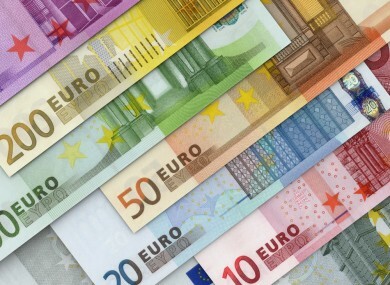 The government provided student supplements of €366 million in 2012 and €372 million in 2014. For the 2014/15 academic year, SUSI received in excess of 103,000 applications and made awards to over 74,000 students. The body anticipates it will receive over 110,000 applications for the 2015/16 academic year. SUSI is taking over the student grant processing work traditionally done by 33 local authorities and 33 Vocational Education Committees (VECs). Jacinta Stewart, CEO of the City of Dublin Education and Training Board (CDETB), also attended the meeting today. She apologised for the “uncertainty, difficulty and distress for many students and their families” caused by the backlog. “I apologised for this at the time and I do so again today. We moved quickly at the time to rectify the situation and we have worked very hard at all times. The transition from 66 individual authorities to a unified national service, the migration to a fully online grant application system, the outsourcing of appropriate functions, the substantial automation of application and document processing, the electronic payment of maintenance grants to all students in monthly instalments and a seasonally flexible staffing model were all achieved in SUSI’s first year. Ó Foghlú said the department has “strengthened SUSI’s resourcing, programme, governance and organisation” and will continue to work with the CDETB, SUSI and all relevant stakeholders to “ensure ongoing imporvement” of the system. If you’re applying for a grant this year, the closing date for new applications is 1 August, while the deadline for submission of renewal applications from existing grantholders is 12 June. Email “Taxpayers could end up footing €4.1m bill for student grant overpayment ”. Feedback on “Taxpayers could end up footing €4.1m bill for student grant overpayment ”.